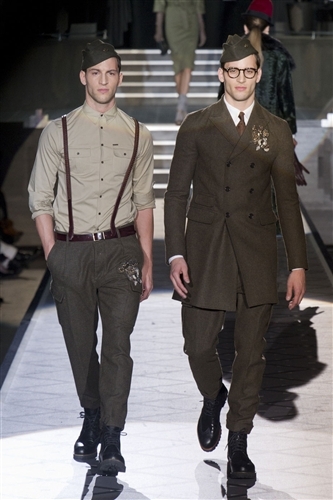 Dean and Dan Caten took Milan back to the 1940’s with their latest collection. 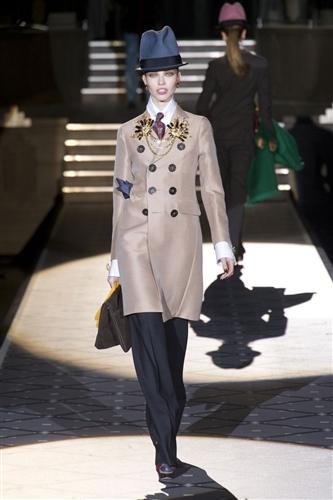 The sumptuous elegance of the decade was brought back to life through DSquared2’s sophisticated designs. 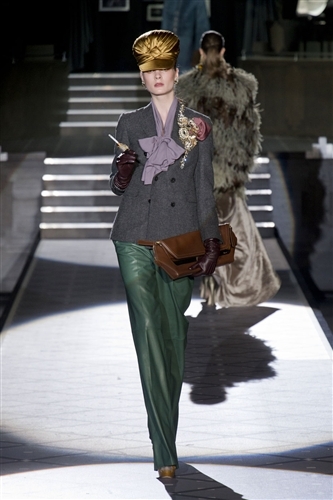 The collection was one of the more colourful so far, with purple, green, blue and yellow. 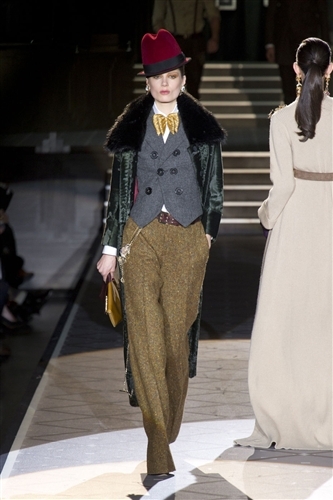 There was also an extensive combination of textures with pieces in fur, velvet and silk. 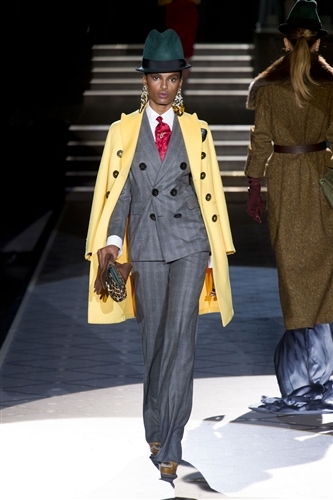 The designs were exuberant and luxurious, though the pieces could easily translate into a women’s wardrobe, they certainly didn’t scream every day wear. 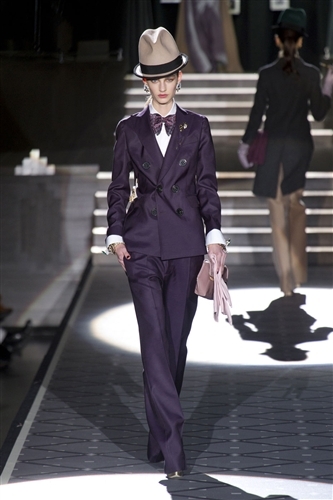 The confident collection was at once very masculine and very feminine, oversized, sharp masculine inspired tailoring was softened by touches of silk and embellishment. 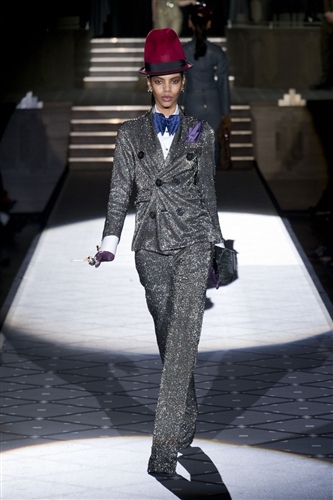 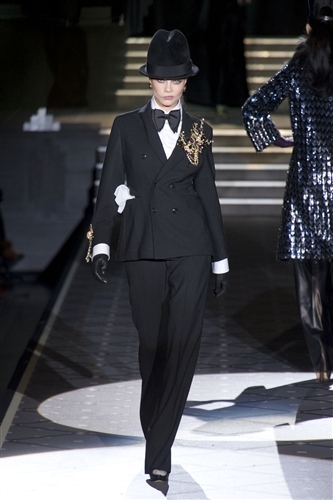 By shrugging on of DSquared’s offerings women will be ready to head back to the famed jazz clubs of the 40’s.